Find your beautiful at mudHoneysalon because honey, you’re worth it! 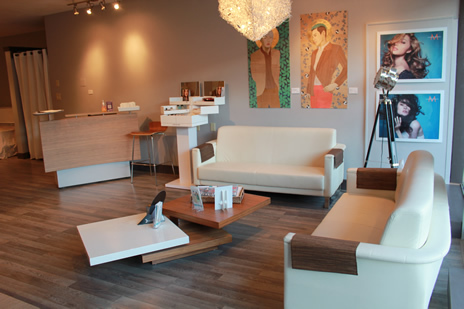 mudHoneysalon is a contemporary oasis from the urban jungle located in the trendy district of 124 street in Edmonton, Alberta. The “mudHoney experience” is customized to each individual who walks into our door. Our professionals understand that each individual has a unique lifestyle and hair care requirements. mudHoney is a brand that clients trust to deliver a progressive style that will translate into head turning and statement making looks. Our passion is to have our clients feeling great every time they leave the salon. The mudHoney salon artistic team continues the commitment to raise the industry standard and strives for excellence within the industry. mudHoneysalon is now proud to offer innovative hair loss packages! Our clients have experienced up to 50% increase! Testimonials are soon to come. Please book an appointment with us! Or…if you would like to just get in touch with us just send us an email.